This year marks our 15th year covering Black Friday here on GottaDEAL. As we do every year, we’ll use our past Black Friday experiences and expert deal hunting skills to come up with a set of predictions for what you can expect on Black Friday this year, both in stores and via the many great online sales to come. We post hundreds of deals each week all year long on GottaDEAL, which makes it possible to accurately predict what kind of deals will likely appear in Black Friday ads this year. We also consider the opinions and predictions of many of our forum members when compiling these predictions. This year Black Friday falls on November 23rd which is the earliest possible date. This gives retailers the maximum amount of time between Black Friday and Christmas. It also means the ads should show up earlier than most years. Next year however Black Friday moves to its latest possible date - November 29th. Last year we saw store opening times hold steady for the most part. There weren't too many stores that opened earlier than previous years as the annual trend of moving up opening times by an hour or two seems to have stopped. In fact there were a few stores that opened later than the previous year. This year we see things holding in place as far as opening times. We see the major stores again opening between 4pm and 6pm on Thanksgiving Day. We're not expecting many stores to open earlier this year, and we might even see a few stores that traditionally were open on Thanksgiving decide to stay closed this year. When it comes to the quality of deals, we're not expecting a noticeable increase in the “hotness” of deals in this year’s ads. We thing the level of deals will be quite similar to what we saw the last few years. We also expect retailers to continue to focus more of their attention (and stock levels) on the online component of their Black Friday sale as well as pre- and post-Black Friday online sales. We expect the earlier pre-Black Friday sales to continue, and we think the deals offered earlier in the month will be even better than last year, leading to more pre-Black Friday revenue for retailers and more deals for shoppers. These pre-Black Friday sales will be available both in stores and online and we'll cover the best ones here on the site. Amazon will likely launch their "Countdown to Black Friday" sale either the last week of October of the first week of November. We’ve also seen the continuing trend of certain retailers using Black Friday to hype up lackluster sale events throughout the year, with taglines such as “Black Friday in July”, however we have yet to see any of these sales amount to anything even approaching the traditional November sales. Unlike these disappointing sales, we expect early November deals to be worth checking out. From 2013 to 2017, many of the top retailers including Walmart, Best Buy, Target and Kohl’s decided to release their Black Friday ads early, and they all did it within a crazy 48 hour period. We expect this to likely be the case again this year, so mark November 5-8 on your calendar as the days when the hottest ads will most likely be leaked. While overall retail numbers have been relatively stagnant the past few years, online shopping continues to see huge growth with plenty of room to grow even more. Last year once again saw a massive increase in online sales for Thanksgiving, Black Friday and Cyber Monday and we expect an even bigger jump this year. We’ve consistently found November to be the best month of the year for online deals. We’re expecting some great deals all month long with sales continuing through the first half of December. Keep in mind that despite the name, online Black Friday sales typically start on Wednesday of that week, so if you wait until Friday to do your online shopping, you’ll be missing out on the best online Black Friday deals. The sheer number of sales and deals offered online can be overwhelming, especially for those who are not as experienced with online shopping. As always we’ll be here to help you by analyzing the sales and letting you know about the best ones we find so you can score the top deals before they sell out. Feel free to share your own predictions in the comments section on any or all of the articles. We want to know what you are expecting to see on Black Friday this year. You can also let us know your thoughts by posting on the message boards. Target today announced their strategy for the upcoming holiday season. They have several great initiatives this year, including bringing back free shipping on all Target.com purchases starting on November 1st. Target will also have special Weekend Deals each weekend beginning November 11. We\'re hoping these weekend sales will be similar to the sales Walmart used to feature on weekend several years ago. Those sales generally had very good deals and justified making a trip to the store on Saturday morning. There\'s a good chance these deals will also be available online. Target will have over 1,700 gift ideas under $15 with hundreds of $1 stocking stuffers. Target will also feature many of their own brands, the majority of which are new for this holiday season. Read Target\'s full press release here and let us know what you think on the forum. This year marks our 14th year covering Black Friday here on GottaDEAL. As we do every year, we’ll use our past Black Friday experiences and expert deal hunting skills to come up with a set of predictions for what you can expect on Black Friday this year, both in stores and via the many great online sales to come. Last year we saw many stores continue to open earlier in the day on Thursday, much to the dismay of those Black Friday shoppers that wish to enjoy Thanksgiving at home. Major retailers such as Best Buy, Walmart, Target, Kohl’s and Toys R Us opened at 5pm or 6pm. Some stores continue to fall on the side of tradition with Friday morning openings, including Lowe’s, Costco and Sam’s Club. This year we see things holding in place as far as opening times. We see the major stores again opening at 5pm or 6pm on Thanksgiving this year. We\'re not expecting many stores to open earlier this year, and we might even see a few stores that traditionally were open on Thanksgiving decide to stay closed this year. When it comes to the quality of deals, we\'re not expecting a noticeable increase in the “hotness” of deals in this year’s ads. We thing the level of deals will be quite similar to what we saw the last few years. We also expect retailers to continue to focus more of their attention (and stock levels) on the online component of their Black Friday sale. We expect the earlier pre-Black Friday sales to continue, and we think the deals offered earlier in the month will be even better than last year, leading to more pre-Black Friday revenue for retailers and more deals for shoppers. These pre-Black Friday sales will be available both in stores and online and we\'ll cover the best ones here on the site. From 2013 to 2016, many of the top retailers including Walmart, Best Buy, Target and Kohl’s decided to release their Black Friday ads early, and they all did it within a crazy 24 hour period. We expect this to likely be the case again this year, so mark November 7th and 8th on your calendar as the days when the hottest ads will most likely be leaked. While overall retail numbers have been relatively stagnant the past few years, online shopping continues to see huge growth with plenty of room to grow even more. Last year once again saw a massive increase in online sales for Thanksgiving and Black Friday and we expect an even bigger jump this year. Toys R Us filed for Chapter 11 bankruptcy protection today and announced plans to remake its image should a judge approve their plans to cut debts and reemerge from bankruptcy. Toys R Us announced that they plan to close underperforming stores (no list was given) and transform others into "interactive spaces" with rooms that can be used for parties, product demos and other events. The company also says they will raise wages over the next 3 years. While this news shouldn't affect their Black Friday plans for this year, it could very well be the beginning of the end for the longtime toy retailer. We'll have more coverage of Toys R Us' holiday plans in the coming weeks and months as the bankruptcy process becomes more clear. Over the weekend Amazon lowered their free shipping threshold for non-Prime members from $35 to $25. It hasn't been this low in many years. This is the second recent threshold drop from Amazon in the last year. The initial level was $49 last year, followed by the drop to $35 and now a very low $25. Interestingly, this drop came just hours after Target announced that they were raising their free shipping threshold for non-REDcard holders from $25 to $35. It will be interesting to see if Target again lowers their threshold before the holiday shopping season rolls around again. Best Buy has announced that they will offer free shipping on all online orders on BestBuy.com from now through December 24, 2016. Previously they had a $35 minimum threshold. This is particularly good news for Black Friday as Best Buy typically has a lot of cheaper items in their ad including their always popular selection of cheap movies. We\'re expecting Best Buy\'s eBay store to match this offer as they did last year, which is great because you can get many of the same deals on eBay and earn eBay Bucks on them as well. We\'re expecting similar announcements from several other major retailers in the coming weeks, so stay tuned. This year marks our 13th year covering Black Friday here on GottaDeal.com. As we do every year, we’ll use our past Black Friday experiences and general deal hunting skills to come up with a set of predictions for what you can expect on Black Friday this year, both in stores and via the many great online sales to come. We post hundreds of deals each week all year long on GottaDeal.com, which makes it possible to accurately predict what kind of deals will likely appear in Black Friday ads this year. We also consider the opinions and predictions of many of our forum members when compiling these predictions. This year we see this trend continuing, and on average we predict stores will open about an hour earlier than last year. We see the major stores opening at 4pm or 5pm on Thanksgiving this year. We also believe a few stores that have historically avoided Thursday openings will cave in to the possibilities of increased sales and open on Thursday this year. When it comes to the quality of deals, we\\\'re not expecting a noticeable increase in the “hotness” of deals in this year’s ads. We thing the level of deals will be quite similar to what we saw last year. We also expect more retailers to focus more of their attention (and stock levels) on the online component of their Black Friday sale. The primary reason why sales were down on in stores Black Friday last year was due to retailers ramping up holiday sales earlier than ever, starting in many cases at the beginning of November. This, combined with a big increase in online sales led to in-store sales falling flat. We expect these earlier sales to continue, and we think the deals offered earlier in the month will be even better than last year, leading to more pre-Black Friday revenue for retailers and more deals for shoppers. These pre-Black Friday sales will be available both in stores and online. From 2013 to 2015, many of the top retailers including Walmart, Best Buy, Target and Kohl’s decided to release their Black Friday ads early, and they all did it within a crazy 24 hour period. We expect this to likely be the case again this year, so mark November 7th and 8th on your calendar as the days when the hottest ads will most likely be leaked. While overall retail numbers have been relatively stagnant the past few years, online shopping continues to see huge growth with plenty of room to grow even more. Last year saw a massive increase in online sales for Thanksgiving and Black Friday and we expect an even bigger jump this year. Amazon.com today announced that Prime Day will return on July 12th with over 100,000 deals exclusively for Prime members, making it the biggest Amazon event ever. There will be deals as often as every 5 minutes in all departments. Not a Prime member? Now is the time to use your free 30-day trial so you can participate in Prime Day. In addition to Prime Day, Amazon will offer special countdown deals each day during the week before Prime Day. These deals will start on Tuesday, July 5th. We'll be covering all of these countdown deals on our homepage, so stay tuned so you won't miss a thing. “Prime Day is a unique opportunity to discover new items and great deals, on top of our already low prices. Following last year’s record sales, we have dramatically increased the inventory behind many deals. In fact, in the U.S. we have nearly double the TV units compared to Black Friday and Cyber Monday combined.” said Greg Greeley, Vice President Amazon Prime. Amazon announced that the number of TVs available on Prime Day will be nearly double the number offered on Black Friday and Cyber Monday combined. They also say that toy deals will be available nearly all day, addressing a complaint from last year. There will also be special deals only available through Amazon's Alexa devices including Echo and Tap. 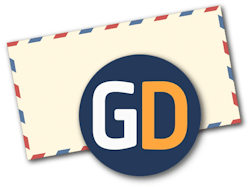 We'll have complete coverage of Prime Day on GottaDeal.com, and as we learn more specifics we'll be sure to post that information here on the site and on our forum. Following the hype of last year's Prime Day, Amazon has confirmed that their second annual Prime Day will happen at some point next month. No exact date has been announced, however last year's Prime Day was on Wednesday July 15th, so if they choose another Wednesday, it could be either July 13th or 20th of this year. Last year's Prime Day brought Amazon a huge amount of sales, with over 34 million products ordered and nearly 400 orders were placed per second. Amazon touted the fact that they had more orders on Prime Day last year than they did on Black Friday the previous year, but that stat is misleading as Amazon extends their Black Friday sale to the entire month of November, so the amount of sales on Black Friday itself is relatively small as most of their deals are over by that point. Nevertheless, we expect a huge number of deals this year on Prime Day. Amazon is recruiting some of their third party sellers to be a part of the event, requesting deals with prices lower than they've been this year as well as quantity minimums. We'll have much more coverage of Prime Day 2016 once the date has been finalized. Amazon.com has raised the minimum order required to receive free shipping on most items to $49. That's an increase from $35, which has been their non-Prime free shipping minimum since October 2013. Note that book orders of $25 or more will also receive free shipping. Prime members will continue to get free 2-day shipping on all eligible items with no minimum required aside from specially marked add-on items which require a $25 purchase. While retailers moving the start of Black Friday to Thanksgiving Day has made headlines in recent years, for those of us doing our Black Friday shopping online, the big day to start shopping is actually one day early - on the day before Thanksgiving. The Wednesday of Black Friday week has become the hottest online shopping day of the year for elite deal hunters and for good reason - it\'s the day that most of the bigger retailers will put their Black Friday ad items online. By Thanksgiving morning, many of the best deals will already be sold out, so if you want to score the best deals online, keep reading. The term \"Black Friday\" has lost some of its meaning with the stores opening up for extended hours on Thanksgiving. Many have called it \"Black Thursday\". So you may be tempted to think that the online sales will also start on Thanksgiving night. But retailers know that they can get an early jump on sales by putting the deals in their Black Friday ads online starting Wednesday night. This year we expect retailers such as Walmart, Best Buy, Target, Toys R Us and countless others to put their Black Friday deals online the night before Thanksgiving. The top deals, such as ultra-cheap televisions, tablets and video games, will likely be gone by the time you wake up on Thanksgiving and start to look at your newspaper full of Black Friday ads. Therefore it is imperative that if you want the best deals, you plan on being in front of a computer, tablet or smartphone when Wednesday night rolls around. Over the next week, we\'re going to be helping you have the best chance of online Black Friday success in several ways. First, later this week we are going to launch our extremely popular Online Black Friday Tracker. You\'ll be able to view a schedule of when the online sales start for your time zone, full details about each sale including coupon codes you can use to save even more. The tracker will also display the latest online deals from across the internet, all on one easy-to-navigate page. We\'re also going to be posting an updated and expanded set of Online Black Friday Tips & Tricks that have helped thousands of online shoppers in previous years. These are strategies that you may not have even thought about but are essential to scoring that online doorbuster before someone else orders the last one. We\'ll also be opening our dedicated Online Black Friday forum on our message board. In this forum you can chat about the online sales with thousands of other shoppers. Ask questions, post what you order and pass the time while waiting for the sales to go live. We\'ll have dedicated threads set up for every major store. Finally, once the online sales start we\'ll be alerting you in many ways. You can sign up for our Black Friday email alerts or our Instant Deal Alerts and we\'ll send you an email as soon as each sale goes live. We\'ll also be posting updates on our Facebook and Twitter accounts, so be sure to follow us on social media so you don\'t miss a thing. More people than ever are going to be shopping during Black Friday week this year, but with our help you\'ll have the advantage over all of them. Stay tuned... it\'s going to be fun. Best Buy has announced that they will offer free shipping on all online orders on BestBuy.com starting this Sunday through January 2, 2016. They currently have a $35 minimum threshold. This is particularly good news for Black Friday as Best Buy typically has a lot of cheaper items in their ad including their always popular selection of cheap movies. We\'re expecting similar announcements from several other major retailers in the coming weeks, so stay tuned. eBay has become one of the most underrated sources for awesome deals every year during the holiday shopping season of November and December. Over the past two years we\'ve posted more deals from eBay than from Amazon, Walmart or any other retailer during this time of year. And for good reason as eBay has consistently offered very nice deals which you can make even hotter with a few tricks. eBay Bucks are earned each quarter and are sent to you a few days after each quarter ends - so the first week of January, April, July and October. You typically have a month to use your eBay Bucks credit. There is a minimum $5 amount to earn a payout, so keep that in mind each quarter. There also is a maximum of $100 earned per item type per transaction, so in some cases it may benefit you to make multiple transactions to maximize your eBay Bucks. How do I get these eBay Bucks bonus offers? Good question. Most of the eBay Bucks multiplier bonuses are targeted offers, which means you have to have received a message or email from eBay notifying you that you are eligible for the promotion. You also typically have to click a link in the email to activate the offer. Most of these promotions last for 2 days. To make sure you get these promotions, you must opt-in to eBay\'s marketing communications for your account. Go to “Account Settings” > “Communication Preferences” > “Promotions and Surveys” and be sure you are opted in for general email promotions. You\'ll get a few more unless marketing emails from eBay by doing this, but the eBay Bucks promotions more than make up for it. Bonus offers typically range from 2x to 5x the normal 2% rate, and they typically have minimum purchase amounts to receive the bonus Bucks. The best offer is the 5x promotion which will earn you a huge 10% back in eBay Bucks. Combine that with eBay\'s already great deals and you can see how lucrative this can be. How do I find out about the deals eBay is having? Another good question. eBay typically posts their best deals right on their eBay Deals page. It\'s a great page to bookmark and check often. Typically new deals are added at 8am PT but they do add deals all day long, especially during the holiday shopping season. 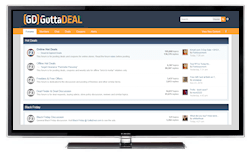 We also have a page here on GottaDeal that lets you sort all the hundreds of eBay deals in several ways to help you find the best bargains. You can check out that page here. Of course we\'ll also be posting the hottest eBay deals on our home page and on Twitter. And you can also subscribe to our Instant Deal Alerts to get an email when we find particularly hot deals. Anything else I should know to score deals on eBay? You can make these deals even better by using your cash-back credit card to pay for your eBay purchases. You can pay with a credit card through PayPal (just make sure you don\'t have an outstanding PayPal balance as the checkout system will try to use that first). In most cases this is only going to be 1-2%, but it all adds up. There is also a neat trick to find out how many of a particular deal are available. All you have to do is change the quantity you intend to purchase on the eBay item page. Try a large number like 500. If you get a message in red text saying \"Please enter a lower number\", that means there are less than 500 remaining. Keep trying numbers until you get a different message such as \"Purchases are limited to 3 per buyer\". Once you get that message, you\'ll have an idea of how many are still available to order. This can be very handy. This year marks our 12th year covering Black Friday here on GottaDeal.com. As we do every year, we’ll use our past Black Friday experiences and general deal hunting skills to come up with a set of predictions for what you can expect on Black Friday this year, both in stores and via the many great online sales to come. Last year we saw many stores continue to open earlier in the day on Thursday, much to the dismay of those Black Friday shoppers that wish to enjoy Thanksgiving at home. Major retailers such as Best Buy, Walmart, Target, Kohl’s and Toys R Us opened at 5pm or 6pm. Some stores continue to fall on the side of tradition with Friday morning openings, including Lowe’s, Meijer, Costco and Sam’s Club. This year we see this trend continuing, and on average we predict stores will open about an hour earlier than last year. We see the major stores opening at 4pm or 5pm on Thanksgiving this year. We also believe a few stores that have historically avoided Thursday openings will cave in to the possibilities of increased sales and open on Thursday this year. We also could see stores attempt to start their sale on Wednesday night, before closing for Thanksgiving and then re-opening on Thursday night. When it comes to the quality of deals, we actually expect a noticeable increase in the “hotness” of deals in this year’s ads. This hasn’t been the case in previous years where we weren’t expecting much, however with sales down last year during the weekend of Black Friday, we think retailers may try to reverse that trend with a better selection of deals this year. The primary reason why sales were down on Black Friday last year was due to retailers ramping up holiday sales earlier than ever, starting in many cases at the beginning of November. We expect these earlier sales to continue, and we think the deals offered earlier in the month will be even better than last year, leading to more pre-Black Friday revenue for retailers and more deals for shoppers. In 2013 and 2014, many of the top retailers including Walmart, Best Buy, Target and Kohl’s decided to release their Black Friday ads early, and they all did it within a crazy 24 hour period. We expect this to likely be the case again this year, so mark November 9th on your calendar as the day when the hottest ads will most likely be leaked. While overall retail numbers have been relatively stagnant the past few years, online shopping continues to see huge growth with plenty of room to grow even more. Last year saw a 25% increase in online sales for Thanksgiving and Black Friday and we expect an even bigger jump this year. Amazon’s relatively disappointing Prime Day in July did not have anywhere near the level of quality deals as Black Friday, yet Amazon still managed to generate 18% more orders than they did on Black Friday. Shoppers are finally starting to fully associate Black Friday season with online shopping and it should lead to high sales again this year. Throughout the week we'll be posting our exclusive predictions for the most popular items this year. See below for links to each category's predictions. Looking for a great deal on an Amazon Prime subscription? If that's the case, this Friday is a day to mark on you calendar as Amazon just announced that new Prime subscriptions will be just $67 all day long on Friday, September 25th. Amazon Prime is normally $99 for the first year so this is a significant discount of $32. This one day promotion is in celebration of the 5 Emmy wins Amazon had this week for their exclusive programming such as Transparent. Prime members get access to exclusive shows such as Transparent, Hand of God, Bosch, Catastrophe and more. Of course Prime membership also gives you free 2-day shipping on over 20 million items, free same day delivery in select areas, unlimited streaming of tens of thousands of movies and TV shows, early access to Lightning Deals and much more. See here for more details about Prime and be sure to come back on Friday to sign up if you don't already have a Prime sub. This morning Amazon.com unveiled four new versions of their popular Fire line of Android-based tablets, all running and upgraded version of its Fire OS 5 "Bellini" operating system. Amazon released two new Fire HD tablets, in 8" and 10" sizes. These lower cost models are the thinnest tablets the company has sold at only 7.7 mm thick. The screens are also brighter to help with reading books and other activities in bright areas such as outdoors. These models provide a lower cost alternative to the iPad mini and iPad Air 2 which have similar sized screens but cost much more. The Fire HD 8 costs $150 and the larger Fire HD 10 will sell for $230, before any discounts Amazon may have coming up. Amazon also announced that it would release its smallest, lightest and cheapest tablet ever, called the Fire. This quad-core tablet features a 7" IPS display, 8GB of internal storage and costs just $50. If you buy five of these tablets, you'll get a 6th free. The kids edition of the Fire tablet is also being updated with a lower price ($100 compared to $150 for the older version) and comes preloaded with kids games, videos and other hand selected content. This model also includes a damage-resistant case. Toys R Us today announced that they are lowering their free shipping threshold for ToysRUs.com orders to only $19, just in time for the holiday shopping season. The previous minimum order to qualify for free shipping was $49. This also applies for purchases at BabiesRUs.com. Toys R Us will continue to offer free in-store pickup on most orders as well, however the $19 threshold is one of the lowest among major retailers and we're hoping this trend will continue. Surcharges will apply for heavy or oversized items. Toys R Us also unveiled their Hot Toy List for the 2015 holiday shopping season. This list contains the top 36 toys handpicked from Toys R Us' team of experts and features toys for all age groups. Among these items, Toys R Us also identified the 15 toys they expect to be the most sought-after and anticipated toys of the season. These "Fabulous 15" toys include the Bright Beats Dance & Move BeatBo, the Imaginext Ultra T-Rex and Guitar Hero Live. See the full list of hot toys here. eBay is celebrating their 20th anniversary with a huge 20-day sale full of deals. The sale will start on Wednesday, September 9th and will run through the 28th. Look for a selection of $20 deals to go along with the 20th anniversary theme. eBay will also have one of their popular Deal Frenzy sales going on throughout the length of the promotion. Some of the deals they mentioned include an Acer laptop, and Asus tablet, a Citizen watch and more. Also expect deals on clothing, home items, gift cards and much more. New deals will pop up throughout the day, every day of the sale. eBay also introduced new versions of their apps for both iOS and Android. The new apps are easier to use and have an increased focus on the selling aspect of eBay. They also have limited time promotions which encourage more users to become sellers. eBay has also created a custom 20th Anniversary Airstream which will travel to San Francisco, Denver and New York City where shoppers can buy some of the $20 deals in person. Walmart today launched their holiday layaway program a full two weeks earlier than last year. New this year, eligible items can be as cheap as $10 each, as long as your total is over $50. As always there is no opening fee to start an account, and you only need to put down 10%. The deadline to pick up your items is December 14th this year. The early launch of their layaway program coincides with what Walmart is calling their first ever Toy Week. Yesterday they unveiled a list of top toys chosen by kids. You can view that list here. Walmart also announced plans for Force Friday on September 4th which is when merchandise for the upcoming Star Wars: The Force Awakens movie will be officially released in stores. On July 31st, Amazon.com quietly changed the rules for Prime account sharing which could have some major consequences for those who share the service with others. It's been a well known fact ever since Prime was introduced that many Amazon shoppers have skirted the previous rule which allowed sharing with up to 4 people in a "household" by finding others, in most cases others who didn't live together, to split the $99 annual cost. In fact we've had members on our message boards get together to join Prime as a group. According to this page on Amazon's help site, existing Prime members "can share certain Amazon Prime benefits with one other adult" as part of what they are calling an Amazon Household. In addition, both adults in this situation must grant access to the other to use the same credit cards stored in your Amazon account. While this may be fine for close family members or significant others, it will create a problem for those trying to game the system by splitting the membership cost with others who you may not know as well. It appears that, at least for now, current Prime sharing setups are not affected, but that can always change should Amazon decide to audit current users and any future changes you make to your Prime account will have to conform to these new rules. This is obviously Amazon's attempt to generate more revenue by getting customers who normally would have received Prime benefits at no cost or by splitting the cost with non-household members to pay the full $99 annual fee. For more details on this story, see this post on Engadget. What are your thoughts on these changes? Are you currently sharing a Prime membership with someone who is not in your household or who you would not want to give access to your credit cards? Sound off below. As we accurately predicted when the sale was announced, Amazon's Prime Day seems to be not much more than a clever marketing trick Amazon used to get more people to sign up for the $99/year Prime subscription before the sale went live. While the sale isn't over quite yet, and there have certainly been more products offered at "sale" prices today, the deals for the most part have been disappointing. Amazon clearly went with the "quantity over quality" strategy for this sale. This is the case with virtually all sales that try to capitalize on the Black Friday hype with tag lines such as "Black Friday in July" or in Amazon's case, "More Deals Than Black Friday." As we've told you time and time again, these wannabe-Black Friday sales just will never be as good as the real thing. Many of Amazon's "deals" today are for items that very few people would realistically even be the smallest bit interested in buying. While there have been a handful of legit deals, most of those sold out within seconds or minutes, indicating that Amazon wanted the hype and didn't want to lose much money today by offering larger quantities of the best sale items. The competing sale from Walmart today was also disappointing, although we are happy to see their lower $35 free shipping minimum and hope it stays through the end of the year which will make the real Black Friday deals even better. So now what? Consider it a lesson learned: when it comes to Black Friday sales, there's no substitute for the real thing. But don't despair - Black Friday is just over 4 months away and as always, we'll have all the leaked ads, news and most importantly, legit hot deals here on GottaDeal.com. Walmart today announced two initiatives aimed to compete with Amazon.com and their highly anticipated Prime Day on Wednesday of this week. First, Walmart will launch over 2,000 special online exclusive deals on Wednesday, the same day as Amazon's Prime Day sale. These rollback savings will last for around 3 months, so don't expect any huge Black Friday-level deals. These will likely be similar to the sales Walmart typically has in the weeks leading up to Black Friday, so don't get your hopes up. Walmart also announced that they have lowered their free shipping threshold from $50 to $35, matching Amazon's threshold for non-Prime account holders. This new, lower threshold will last for at least 30 days according to a Walmart spokesperson. Walmart is trying to draw a comparison between their deals, which are available to everyone, compared to Amazon's Prime Day deals which require the $99/year Prime subscription. Walmart claims it is "standing up for our customers and everyone else who sees no rhyme or reason for paying a premium to save." What do you think? Will you check out Walmart's sale on Wednesday? Amazon Announces Prime Day - More Deals Than Black Friday? Amazon.com today announced Prime Day, a one-day shopping event to celebrate the company's 20th birthday (and obviously to convince more people to sign up for their Prime subscription service). Prime Day will take place on Wednesday, July 15th and Amazon claims the day will feature more deals than they offered on Black Friday. You may remember from our extensive coverage of Black Friday that Amazon stretches their Black Friday deals to over a week, so the amount of deals they had specifically on Black Friday isn't too many, but obviously it'll be more than their normal day's worth. We are assuming that the deals will take the form of Amazon's popular lighting deals, with new items going up for sale as often as every 10 minutes during Prime Day. We'll be posting the best of these deals on our main GottaDeal.com home page on Prime Day as well. Besides the deals, Amazon is also having a #PrimeLiving Photo Content in which you can win a $10,000 Amazon.com gift card by submitting a photo using Prime Photos. The contest starts today and runs through Prime Day, July 15th. Amazon Prime costs $99 per year and gets you unlimited free 2-day shipping on more than 20 millions items as well as unlimited streaming of tens of thousands of movies and TV shows. It also offers free music streaming, photo storage and the Kindle Owners' Lending Library. To sign up for a free 30-day trial so you won't miss out on Prime Day, just go here.